Since 1999, AleaSoft has developed for Endesa more than 10 projects in the field of electricity forecasting. September 12, 2007- Endesa has selected ALEASOFT (aleasoft.com) for the supply of a price forecasting solution for the Spanish electricity market. Product delivered is “AleaPrice” forecaster, that obtains automatic hourly electricity price forecasting in the short term . “AleaPrice” forecasting engine has machine learning algorithms that capture the dynamic nature of prices keeping the model updated when changes occur and thus outperforming traditional price forecasting techniques. “AleaPrice” was developed in 2002 and since then it has been used by other generation companies, which sum more than 60% of total system capacity. In the case of AleaSoft demand forecasting solutions, this share is higher, being 95% of the market. On the other side, Endesa Distribución has recently contracted AleaSoft a forecasting solution that allow to optimise the power purchases in the pool and to reduce system deviation. Endesa and AleaSoft cooperation in the field of electricity forecasting started in 1999. Since then more than 10 projects have been developed in the field of electricity forecasting in the short, mid and long term horizons. 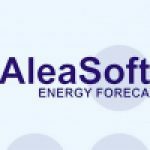 AleaSoft, created on 1999 as a spin-off of Universitat Politecnica de Cataluña (UPC), provides a cutting-edge technology for demand and price energy forecasting that meets specific needs for accuracy and automation. ALEASOFT is a leading supplier of this kind of solutions, with clients in Italy (Enel, Endesa Italia and TERNA), France (EDF), Belgium (Electrabel), Slovakia (Slovenské Elektrárne) and Spain (Endesa, Iberdrola, Unión Fenosa, Enel-Viesgo and REE).